Cool small tattoos for guys aren’t that easy to find, though it’s pretty strange because small tattoos are trendy these days. However, there are thousands of tattoo designs on the internet, but a lot of them look bad. 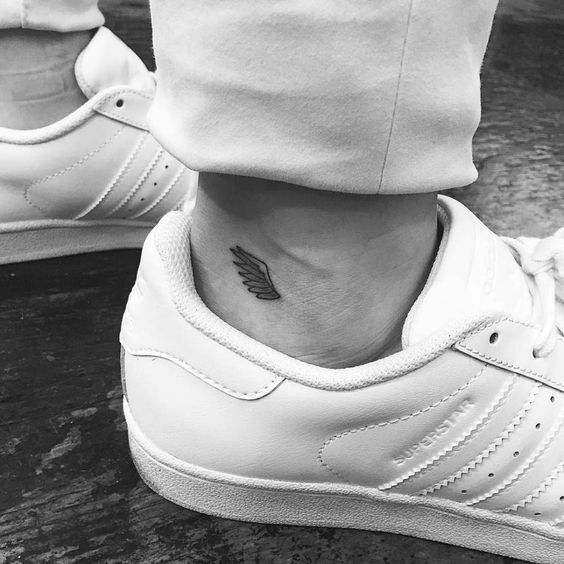 So if you’re a guy and you’ve decided to get a small tattoo – you’re in the right place! We have gathered the most beautiful tattoo ideas, and we hope you will find the design you’re looking for here! Tiny Cross Tattoo On A Wrist. Cool small Matching Tattoo Idea. Small Coordinates Tattoo On The Inner Arm. An excellent idea for travel fanatics – small Compass Tattoo On A Wrist. Cool small tattoos for guys – how to choose? There are many different types of cool small tattoos for guys, so we have picked out the most important factors while choosing one. So the main things you should consider before getting a tiny tattoo are placement, color, type, and meaning. The most important thing is probably the meaning of your tattoo. Because if it doesn’t mean anything unique to you, maybe it’s not the time to get it yet? So, don’t pick a first occurring tattoo that looks cool. Think of what should it mean to you. Maybe you want to express your love for someone. Or perhaps you want to remember something so that it will always be with you. The perfect choice for a tiny tattoo is a symbol. It means something, and it looks good at the same time. Word ‘Alive’ inked on the forearm. Hand Poke Tattoo By Spencer Hansen. Simple Compass Tattoo On the Arm. Small Anchor Tattoo On The Neck. Small Arrow Tattoo On the Arm. Watercolor Circle Tattoo by Witty Button. Another Small Watercolor tattoo by the Urbanist Lab. A beautiful small Wave Tattoo On The Wrist. A small arrow Tattoo On the Ankle. Tiny Black Cross Tattoo On The Finger. Small Black Cross Tattoo On The Hand. You can also consider a quote or a word. But remember that you won’t be able to fit an entire poem on your arm. So pick the words carefully. Another option is a matching tattoo with your love. 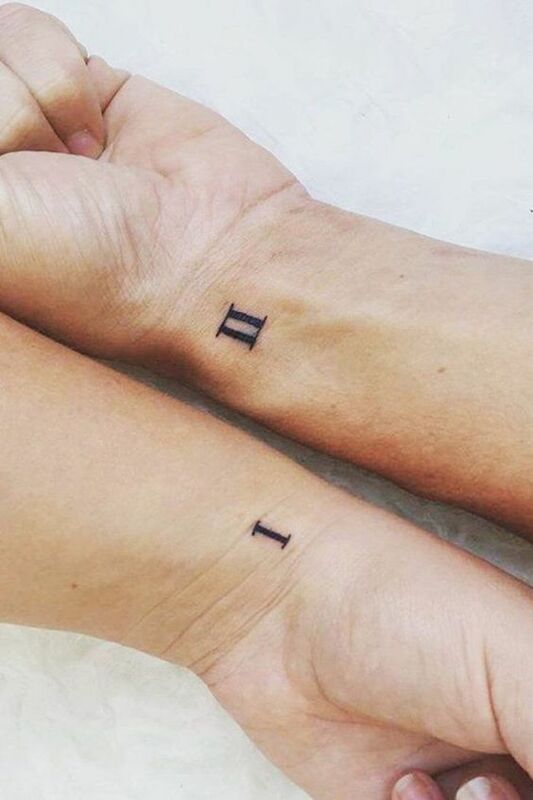 For example, if you’re celebrating your anniversary, you could get a small matching tattoo to mark the date. Roman Numerals Tattoo On The Inner Arm. Adventure Tattoo On An Ankle. Thus, a small tattoo is an ideal way to express yourself, your perception of the world or your beliefs. A beautiful thing about small tattoos is that there are numerous possibilities of what you can get. Don’t get a little tattoo just because of its popularity. The great thing about small tattoos is that you can hide in whenever you want. Also, you can place a small tattoo wherever on your body. Though the mostly used placements are: fingers, wrists, forearm, chest, and hands. But you should not limit yourself only with these options. If you’re getting a first tattoo, consider more private areas like forearm or chest so you can easily hide it. While if you already have some tattoos, you can try more open places like the neck or fingers. Quote tattoo on the arm. Little wing Tattoo On The Ankle. Small Date Tattoo on The Arm. A remarkable small Colorful Couple Tattoo. Minimal line tattoo on the right forearm. Honeycomb tattoo on an inner arm. Gorgeous floral ankle tattoo band by Oozy. Coffee cup tattoo on an inner arm. Black square tattoo on the wrist. A small head of a deer tattoo on the wrist. While tattoos are a beautiful form of art, sometimes they can be a real headache. Especially when you didn’t think long and hard before getting it. Many people regret their tattoos only after some time passes, and some may realize that they made a mistake the next day. That’s why we always recommend getting it when you are 100% sure about it, and you were not forced into this decision. At all times you should avoid things like getting drunk and tattoos. Of course, any professional tattooist will refuse to ink a drunk person, but you don’t know what you may end up with. So, you must decide for yourself. Don’t do it because of the hype or because your friend thinks that you need one. It is always better to think twice before doing anything, and it’s the same with tattoos. However, if you already have made a decision and regret it, don’t worry because you can remove it pretty quickly. With today’s new techniques, it became easier to remove or to make a cover-up of your tattoo. If you happen to live in NY, check out this New York tattoo removal studio named ‘The Finery.’ Of course, we hope that you will choose wisely and will not need such services!